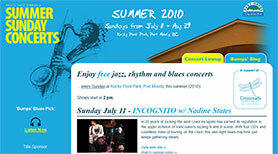 Vancouver Marketing Projects Performed by Rhino Marketing Inc. Many e-marketing firms offer cookie-cutter programs. Rhino Marketing focuses first on the results desired by clients, and only then develops tactical solutions that deliver those results. Our clients value this approach. Our clients operate in a broad range of verticals – from international finance, travel, insurance and public companies, to aviation, heavy equipment, manufacturing, sporting goods and not-for-profits. We customize each project to deliver the desired results for the specific industry, company and project. Lafarge North America is the largest diversified supplier of construction materials in the United States and Canada. Although the company is very well-known by construction companies and contractors, less well-known is their home delivery service available to individual home owners. 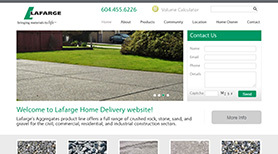 Lafarge commissioned Rhino Marketing to build a consumer market website to act as an online showcase for landscaping design ideas and to inform the public of their home delivery services. The site features a guide for home owners to match their projects with corresponding Lafarge products available for home delivery. The site also contains a handy volume calculator and a full online product catalogue. With over 785,000 members and $130 million in revenues, BCAA is the largest member organization of its kind in B.C. BCAA has been named one the 50 Best Employers in Canada by international HR consultants Hewitt Associates and the Globe & Mail’s Report on Business magazine for the past three years. 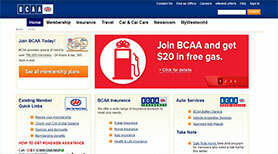 When increased use of online marketing required additional resources, BCAA engaged Rhino Marketing. Working closely with BCAA marketing and product staff, Rhino internalized objectives and customer insights, then developed, launched and managed targeted search marketing executions for various products lines. 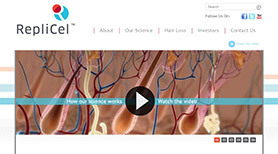 RepliCel Life Sciences is devoted to developing a potentially market-changing autologous cell-based procedure for the treatment of pattern baldness and general hair loss in both men and women. RepliCel has commissioned Rhino Marketing as lead agency to create brand awareness through all available and relevant avenues such as: print and online advertising, social media engagement, video production, and web site development and promotion. Rhino Marketing is pleased to bring RepliCel’s important message to those in the public who most need to hear it. 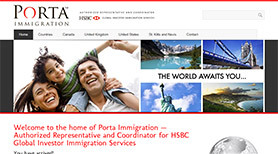 Porta Immigration is an Authorized Representative and Coordinator for HSBC’s Global Investor Immigration Services. Porta assists qualified individuals and families to immigrate to some of the world’s most welcoming, safe, and prosperous countries. When Porta needed its website to convert qualified visitors into program applicants, Rhino Marketing rebuilt and redesigned the site with a clear re-focus on Porta’s mission. Along with a clean new look and feel, the site contains full assessment questionnaires for each of the four countries Porta specializes in, as well as useful information about the countries and imagery of some of their greatest landmarks. Headquartered in London, HSBC is one of the largest banking and financial services organizations in the world with over 10,000 offices in 83 countries. 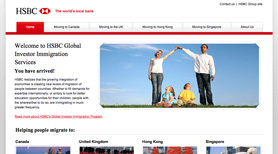 Through an international network linked by advanced technology, including a rapidly growing e-commerce capability, HSBC provides a comprehensive range of financial services. Rhino Marketing manages a customer acquisition program for a Vancouver-based global practice area. By creating a customized toolset combining a search-optimized program website, web analytics, Pay Per Click advertising and advanced web-based behavioural targeting, Rhino enables HSBC to execute highly-targeted acquisition of customers from around the world. In a hockey-crazy city like Vancouver, when you have a chance to work with the leading sports media in the market, you jump. CTVglobemedia is one of Canada’s largest private media companies, whose operations include television broadcasting and production (CTV) and radio broadcasting (CHUM Radio Network), including TEAM Radio (TEAM 1040 and TEAM 1410). TEAM Radio wanted to not only update and refresh its Internet property, but also add all the interactive and social elements that drive fan interaction with sports radio. And they wanted to do all this while making it easier to manage and update the considerable dynamic content elements of the site (sports scores, on-air personalities’ blogs, Twitter feeds, etc.). The site also needed to accommodate station contesting, live streaming of programming, and – of course – advertising. After holding several in-depth planning meetings to understand the requirements and business objectives, the Rhino Marketing team was able to go top shelf, putting together a sophisticated website built on a heavily customized, yet still-user-friendly WordPress foundation. TEAM Radio couldn’t be happier with the results, but don’t take our word for it. Check out the post-game testimonial from James Stuart, TEAM Radio Vice President and General Manager. 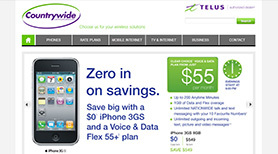 Countrywide Communications is an authorized Telus dealer with two retail locations in Maple Ridge, BC. Rhino Marketing was hired to rebuild Countrywide’s website incorporating a user-friendly content management system that would enable easy content updates to keep up with all the latest Telus products and pricing. Rhino went a step further, reducing the amount of manual labour required by about 95% by implementing an XML feed from Telus to automatically update hardware inventory and rate plan pricing. Relay Media Group is a Vancouver video production company creating powerful videos for multiple platforms designed to connect clients with their target markets. As a new company composed of three veteran media professionals, Relay Media wanted a website that would be beautiful in both form and function. Rhino Marketing delivered with a fresh, clean site capable of scaling rich media content hosting as the company grows its leading new media business. 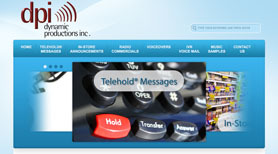 Founded as a telephone on-hold message company in 1994, the voice communication experts at Dynamic Productions Inc. have grown the firm into a full-service audio production facility. Their services include on-hold messages, in-store announcements, music and jingle production, creative copywriting, and radio commercial production. When they found their own website redevelopment stuck on hold, they dialed up Rhino Marketing Inc. Rebuilding the site on WordPress, Rhino worked closely with DPI to not only freshen the look and the layout of the site, but also make samples of all categories of work easily accessible for playback. Directly adjacent to the playback links is a Request a Quote button that makes it easy for customers to reach out and touch someone at DPI. 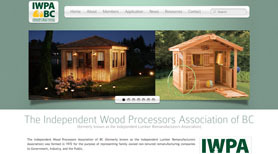 Known as the Independent Lumber Remanufacturers Association for its first 39 years, this industry group speaks to government and the general public on behalf of their members, which have grown more diverse in recent years. When they changed their name to the Independent Wood Processors Association of BC to reflect the breadth and variety of what their members do, they called Rhino in to help with the rebranding. Rhino designed a sleek new logo and a professional-looking website that dials up the presentation and enhances IWPABC’s overall credibility. 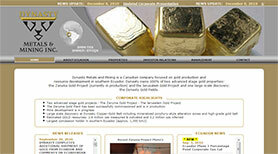 The new website is also search engine optimized to drive awareness and traffic to the site for its members. And last but not least, the site features a blog to help members and the public keep up to date with industry news. Sometimes even the ‘Coach of the Year’ needs a little help in today’s fast paced marketing world. 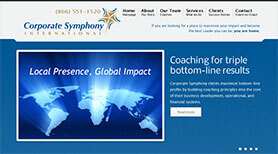 When award-winning business coaching consultancy, Corporate Symphony International, decided to take their website’s performance to the next level, they called Rhino Marketing. With a new strategic alliance linking CS to partners in Europe and Asia, as well as expansion of coaches from coast to coast in North America, the timing was perfect to bring in Rhino’s marketing expertise. Working closely with CS’s leadership, Rhino designed a new up-to-date look, functional navigation, and clear, concise, web-optimized messaging. 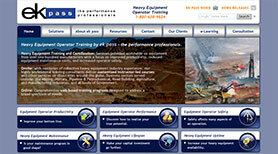 Rhino’s objective for CS’s website was the same as Corporate Symphony’s objective for their clients: maximum impact! Given the Rhino team’s penchant for working while plugged into their iPod’s, it seemed a natural fit when Port Moody’s Summer Sunday Concerts needed some marketing help. Rhino redesigned and rebuilt the event website, made sure it was properly optimized for SEO, added web analytics to the site to track success, and last but not least, included a Blog so organizers and the public could trade opinions on which band is their favourite! 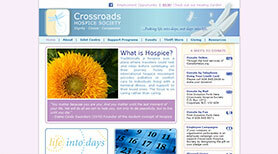 Best of all, any donations received at the free concerts, go to support the Crossroads Hospice Society! Eaton Corporation is a diversified global power management company with 2007 sales of $13 billion. 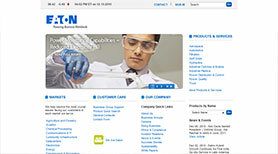 Eaton has approximately 80,000 employees and sells products to customers in more than 150 countries. Rhino provides a local resource for a variety of marketing projects. 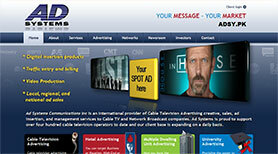 Ad Systems Communications, Inc. is a digital media and video communications services Company which provides quality advertising inventory for major cable TV networks such as ESPN, MTV, DISCOVERY, CNN, LIFETIME, A&E, FOX NEWS and TNT by deploying its patent pending insertion and streaming media technology into the cable, satellite and IP television markets. When Ad Systems needed to overhaul their web presence, Rhino was engaged to manage the entire project including a complete website rebuild, and publicizing the re-launch via e-mail and Paid Search campaigns. The BC Liberal Party was sworn into office on June 5, 2001 with the largest majority in B.C. history. Since then, B.C.’s economy has dramatically improved and is now one of the strongest in the country. 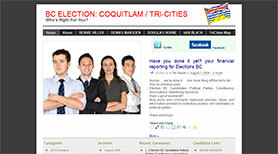 With its experience in e-communications and digital marketing, including web design, blogging and social media, Rhino Marketing Inc. was engaged by the Tri-City candidates for the BC Liberals to manage various elements of electronic communication. ek pass is an international heavy equipment operator training consultancy providing training services worldwide on equipment from over one hundred manufacturers. Their client list includes the likes of British Petroleum (BP), Hitachi, Kinder Morgan and the United States Marine Corps. To enhance global customer acquisition and conversion, Rhino Marketing rebuilt and search optimized their website, developed and executed Pay Per Click advertising and manages, maintains and reports on the all these elements on an ongoing basis. Crossroads Hospice Society offers compassionate support to those affected by the end of the life experience while honouring their dignity. When Crossroads needed to freshen their website and improve the functionality and user-experience for their key constituencies, they turned to Rhino Marketing Inc. Rhino revitalized the look and feel of the website, enhancing the organization of, and access to key information. The result is a more functional site that better serves the needs of the families, volunteers, and financial supporters of the society. Dynasty Mining & Metals is a Canadian based exploration company focused on gold exploration and development in southern Ecuador. 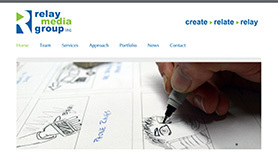 A client since 2004, Rhino designed and built Dynasty’s original website and currently manages all aspects of their online presence and customer database management, including web analytics, search optimized press releases, customized landing pages to track trade show effectiveness, co-ordination of online video and webinars and e-mail distribution to their client database. PowerHouse Building Solutions Inc. is a national distributor of premium rainscreen and building envelope products for the residential and commercial construction industries. With expansion already underway to the Ontario and the Maritimes, Rhino Marketing was engaged to design and build the company’s first website. Working closely with the client, Rhino focused on conveying information to the distinctive user groups that would visit the site, each of whom have slightly different objectives for their visit. The result was a robust source of customer-focused product and user information designed to meet the visitor’s needs. 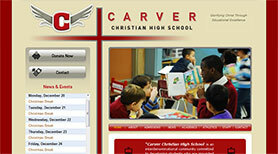 Carver Christian High School is an interdenominational, independent, non-profit Christian school that educates students from across the Lower Mainland. As a parent-led institution, when Carver needed to reorganize and energize their website to communicate what was going on to both current, and potential students and families, they came to Rhino. Guided by deep user-experience insight, and employing off-the-shelf tools like Google Calendar, Rhino delivered a functional, fun, and cost-effective site designed to be the online hub of the Carver Community. 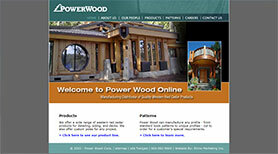 PowerWood Corp. is a leading manufacturer and distributor of western red cedar products. In business since 1995, they have achieved steady growth by combining first class products and superior quality with unmatched customer service. 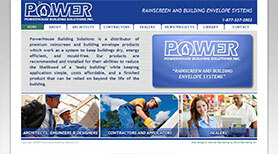 Rhino manages and hosts the PowerWood website. After converting the site to a more user friendly platform, Rhino completed translation of the site to French and relaunched the site. 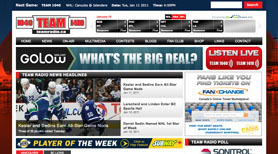 We continue to maintain the site and look for new and innovative additions to their online space.